Westland High School serves a large and diverse community. 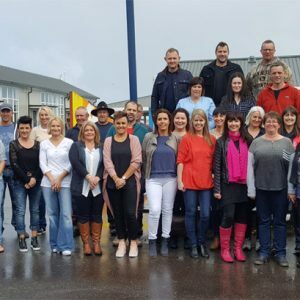 Students come from Kumara Junction in the north to Waitaha in the south, from the farming communities of Kowhitirangi and Kokatahi, the Arahura Pa and from the town area of Hokitika. Westland High School is the heart of the community, with many families having attended for several generations. 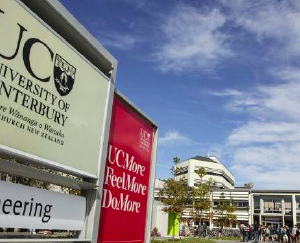 International students are welcome and integrate well into their second home. Hokitika is the cool little town located on the untamed West Coast of New Zealand’s South Island. The diverse natural environment includes wild beaches, majestic mountains, dense rain forest and many lakes and rivers in close proximity. It is a magnet for kayakers and others who enjoy outdoor pursuits including school students. The economy is also diverse with a vibrant arts and craft community; major employers in the Department of Conservation, Westland Milk Products and the dairying sector; with tourism driving economic growth; and Hokitika providing the administration hub for the Westland District. The region has a lot of small businesses with big attitudes, and a few larger initiatives with innovative ways of engaging with the global marketplace. Te Rūnanga o Ngāti Waewae and Te Rūnanga o Makaawhio share whakapapa and specific geographic areas within the Westland District where almost 20% of the population identify as Māori. Pounamu, found in the pristine waters of Arahura, holds cultural, spiritual and historical significance to tangata whenua and visitors alike. Westland High School welcomes and encourages Māori contribution to the education of ākonga. We strive to both welcome and actively seek Poutini Ngāi Tahu involvement in our school and maintain communication and a good working relationship with Poutini Ngāi Tahu that is fluid and evolves in accordance with the needs of Māori. 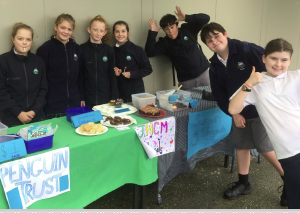 Westland High School recognises the role and importance of the Makaawhio marae (Te Tauraka Waka a Māui at Mahitahi/Bruce Bay) and the Ngāti Waewae marae at Arahura. Westland is also a fun place. The entrepreneurial spirit is strong; celebrating life with a quirky sense of humour. 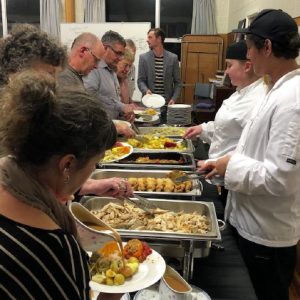 The annual Hokitika Wildfoods’ Festival is one event that reflects the pleasure of the wild, the challenge of the untamed and the joy of a good time had by all. With all these diverse elements making up the local community, this means the students of Westland High School have great role models and plenty of opportunities on their social, community, and vocational journeys. Our students learn to be resourceful and respectful, to welcome diversity and be resilient. The local business community ensures students of all abilities get access to work knowledge and experience, and to participate and contribute to local community initiatives. This is a community with a focus on thriving, and Westland High School works in partnership with the community for the overall welfare and success of our students.